I still to this day buy magazines and lust over the items in the glossy pages. Recently while having a look through my favourite magazine (Cosmo!) I realised that they have influenced me a lot in different products to try out. In this post, I will be showing you what products I brought because I saw them In my magazines. 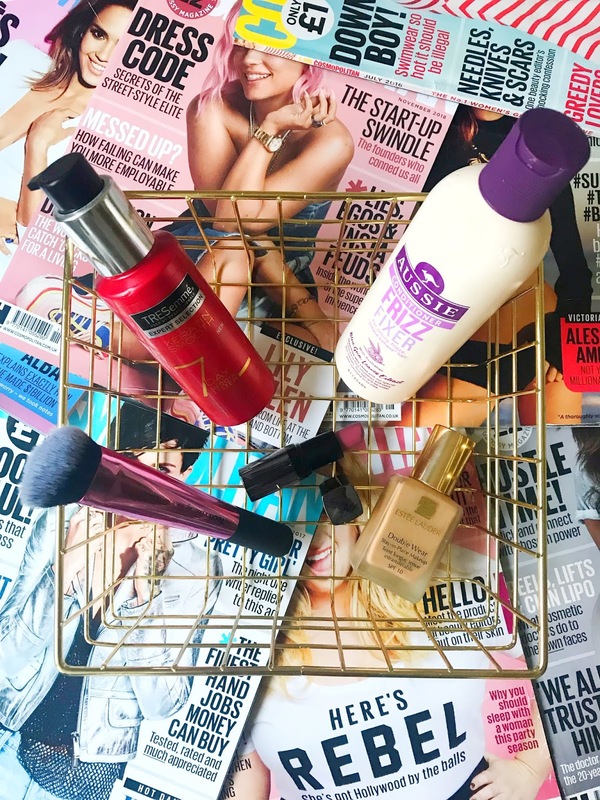 For this post, I sat down and had a look through all the Cosmopolitan Magazines that Ives saved over the past 2 years. I'm not too sure why I started this collection but its now an obsession, I started with just picking up the magazine when I saw it in the shop but now I have to go in every month and get one. 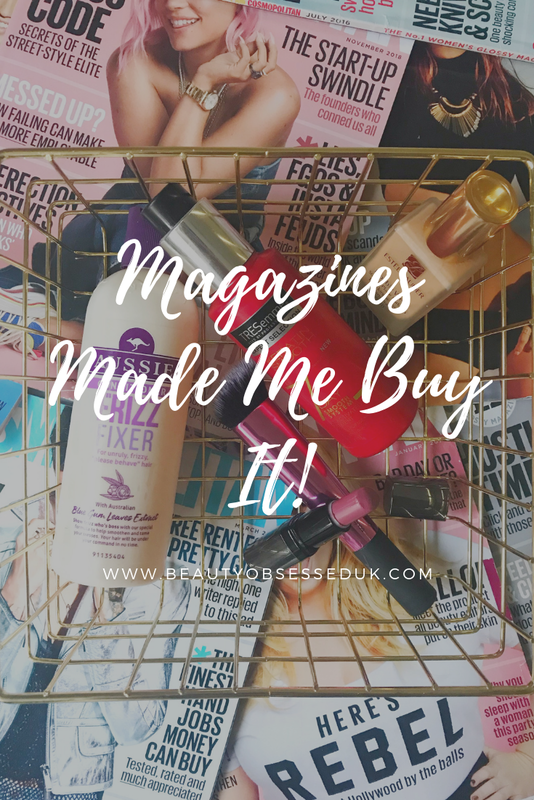 My favourite part in these magazines is having a look through the beauty product section and getting recommendations on what products to try out next. Going back a year I was going on holiday and needed a new Shampoo and Conditioner and then flicking through my magazines I notice how much the Aussie products were promoted. I mainly noticed these products from the ad pages which described the product as having a special formula which helps to smooth and tame your hair so I obviously went out a brought it straight away. I use this product still to this day, It's a product that I also recommend to my friends and family to use. 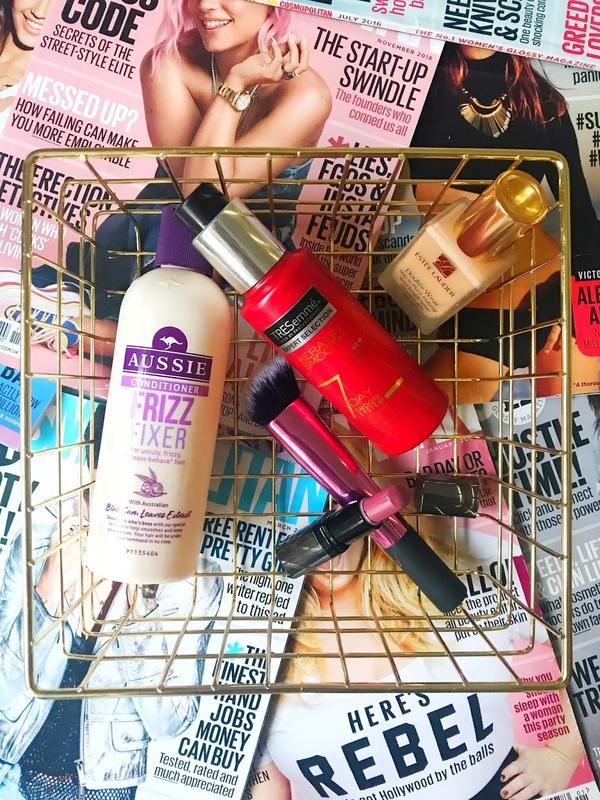 My favourite product from this range is the 3 minute Miracle Deep conditioning treatment, which I took away on my holiday with me and it helped keep my hair feeling extra smooth but also tamed from frizz. I love the smell of this product the most as it is very different from anything that I've tried before. If you're looking for an inexpensive haircare product that keeps your hair looking and feeling great I would definitely recommend trying this range out. If you have tried this foundation before you will know that its worth it! It might not be for everybody as it can be drying if you have dry skin but if your looking for a full coverage foundation with a great shade selection this foundation is for you. I have now been using it for years on and off, I have tried other foundations but have always come back to this one as it just agrees with my skin. 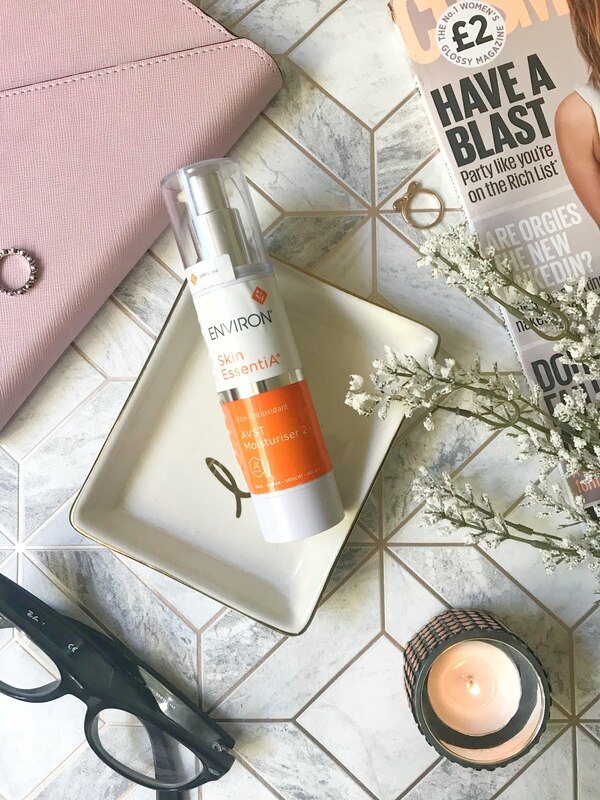 This product really does apply like a dream and stays on the skin all day without wearing away. I discovered this brush while I was reading an article about contouring and this brush was one of the recommended products to use to get the look, aia had previously used Real Techniques brushes like the foundation and Kabuki brush but this one was new to me. In the article they said this brush blended out cream contour products quickly and easily without too much work. From then on I set out to find this brush. This brush actually came in a set when I brought it with a fan and setting brush also included. I don't actually use the sculpting brush as much as I thought I would because I don't contour as much as I would like. When I wear full makeup or if I'm going out of an evening then I tend to use this brush. This product works really well and blends whatever product that you use so seamlessly. From getting this set I actually use the other two brushes a bit more than this one because I use the setting brush for my under eyes every day. This product was also something that I discovered in another article, this one was specifically about runway hairstyles. In one of the looks, this heat-activated system which helps to keep your hair looking smooth and sleek. I was on the lookout for a new treatment to use on my hair to make it look extra smooth after washing and straightening then I saw this article. I use this product everytime I wash and straighten my hair, This product had really helped my hair stay straight without the need to go over my hair again with straighteners for a few days afterwards. I use this product before I dry my hair and it helps to protect my hair from the heat and keep it looking frizz free for a few days after washing and styling. I discovered this lipstick again on one of the ad pages (if you can tell by now advertising works on me!) There was a whole spread about this lip paint when it first came out with a few new colours as well. I instantly wanted to try this product because on the model it looked like she was wearing a lip gloss but it was actually a lipstick. I was actually very happy that I tried out this lipstick, it's a lot different than other lipsticks that I've tried because it applies very easily and looks like a gloss once it's applied. The colours in the range were also really pretty with most of them being mauvey pink and berry shades. These lipsticks also wear on the lips really well and the colour lasts all day. Overall I think my magazines did really well, Not many people read them anymore but I will always pick up my monthly Cosmo. Have you brought anything that you have seen in a magazine before? Oh wow you've definitely had some good magazine recommendations haven't you? I love Aussie as a brand and the Double Wear is one of my favourites too! 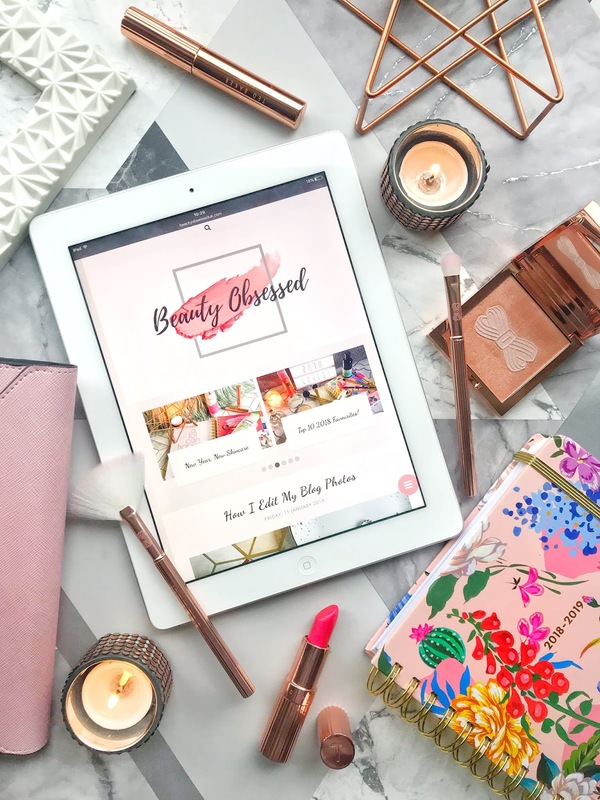 I tend to look to other blogs instead of magazines nowadays though! Really enjoyed reading this post and find it so useful when people recommend products! I've been wanting to try Estee Lauder's double wear foundation for a while now so when I've saved up a few pennies, I think I'll be going for it! I absolutely love the Real Techniques brushes, their sponges are my go to! Bloggers have made me buy things but I don't think magazines ever did! I have heard of that foundation though and everybody loves it! I dread to think how much stuff I've bought over the years just because it was in a magazine! The Aussie range is amazing though! this is such a fun post idea, i’ve actuslly never seen a blog post like this. I have the real technique brush and i don’t use it that much but I use the fan brush and setting brush all the time so for that I would say the set is worth it! great post!